Self defense in our home is not something we "think about". It's something we're ready for. Are you? The guns in the picture are weapons of critical self defense for our home and outside our home when needed. These or other similar are present in our house. Pistols, a shotgun; not shown is a revolver. But it's there in our home if needed. "If needed" means in the case of a critical self defense situation where the life or lives of anybody in our family is in danger. In danger from sociopathic criminals that will break in by stealth, or by violence in a home invasion. To be clear, no weapon is an end-all in self defense. Much more is to be considered. But for the purpose of this article, we're talking about those weapons that are deadly. We're talking about weapons used in last resort situations where grave bodily harm or death is imminent if extreme measures are not taken. That said, countless instances occur across the U.S., where just the visible presence of a handgun or other firearm is enough to deter a criminal assault against law-abiding citizens. 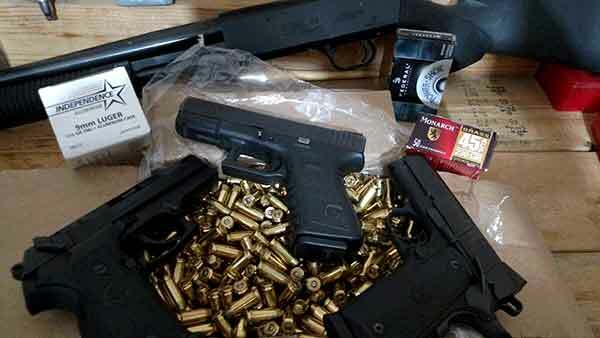 Some of these weapons (handguns) are necessary for their availability in public places now. 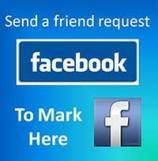 They are critical to defend ourselves and families against random criminal assault. Criminals are ready for you. Random criminal assault from intended robbery to maniacal, enraged madmen who will open fire and kill with abandon, anybody present in their line of fire. To ignore this fact in America now is foolish, and insisting that law abiding Americans should be disarmed is unconscionable. It is an act of murderous idiocy to take a political stance that making the law abiding helpless in the face of weapon yielding criminals will stop firearms crime. What are you doing about getting, practicing with, strategically placing, and carrying critical self defense weapons? Are you continually thinking about it and never doing it? Are Your Critical Self Defense Firearms At Hand And Ready? 1) If my home is broken into by a burglar, will "thinking about" getting my gun(s) help me in that instance? 2) If we experience a violent home invasion, with weapons wielding criminals, will "thinking about" acquiring and training with firearms keep my family members or me from being robbed, assaulted, raped, possibly murdered? 3) If I am in public, with or without my family, and a criminal assaults me for any intent, will "thinking about" getting a concealed handgun help? 4) If I am in public, with or without my family, and an active shooter begins randomly shooting anybody he can see, will "thinking about" having my concealed handgun do me or mine any good? Or will we just be murdered where we are, begging for our lives lying under some insufficient spot of "cover" trying to avoid the killer? Here's my advice. Stop wringing your hands over it and thinking about acquiring the weapon(s) and practice for critical self defense. Are You And Your Family Ready For Criminal Sociopaths? 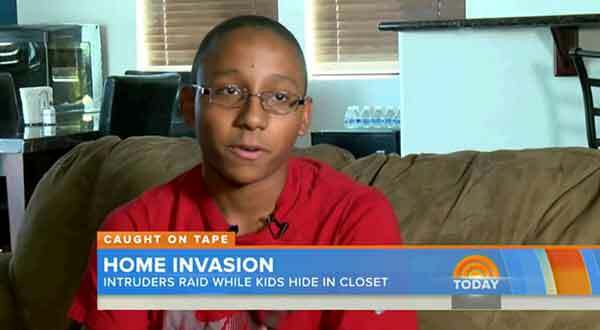 The kid below hid with his siblings in a closet when an intruder entered his house. He hid in the closet with a rifle his dad had taught him to use. When the criminal home invader opened the closet, he was looking down the barrel of that rifle. He and his partner fled the scene. 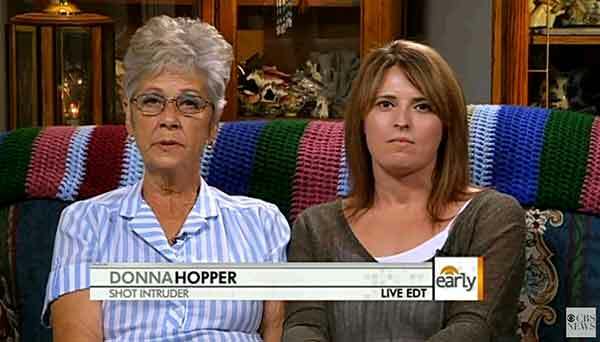 A man tried to break in the home of the lady on the left by pounding on her door and breaking her window. This while he told her he was "coming in". When he continued to pound and try to break through to her, she shot him a total of three times. Twice till it looked like he had left. Then he returned suddenly which is when he broke the window and she shot him the third time. The intruder was killed. The other lady in the picture is the 911 dispatcher who talked to her. The shooting was considered justified. From the news report below, a man tried to enter a family's home by force. One of the family members fired a warning shot. The intruder persisted trying to break in by force. 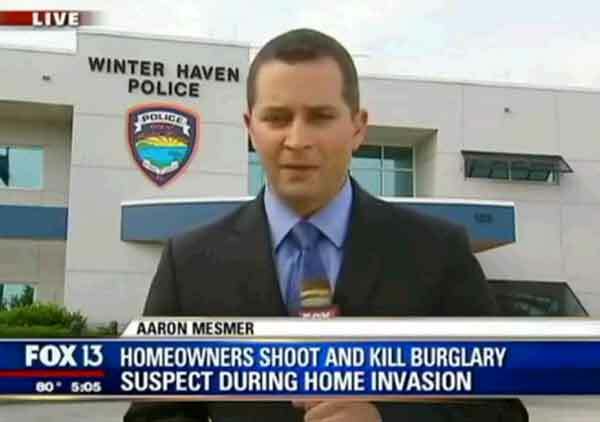 When he succeeded at entering the house, he was met by all three family members, all armed. He was killed by the whole family. *These are all screen shots of random news reports from the last few years I pulled from local, regional, or national news site videos. In the reports above, readiness is the key link between the kid, the 66 year old woman, and the family who shot the intruder. All were armed, knew where their firearms were, knew the guns were ready, and knew how to use them. Would that be the result if it happened to you and yours? 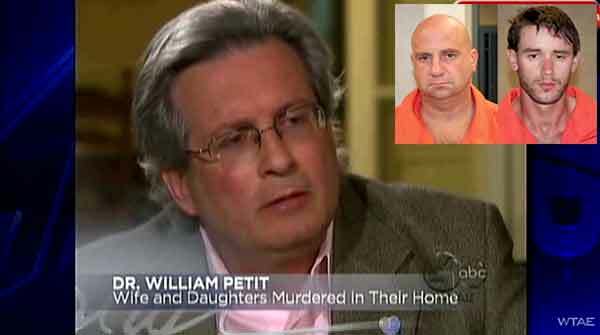 A notorious case from 2007, Dr. William Petit was assaulted in his home by intruders first intent on burglary. It escalated into him being viciously beaten and imprisoned in his basement, while the perps tortured his wife and daughters His 11 year old daughter and his wife were both raped. The foul monsters decided it would be entertaining to take pictures of their activities with the females in the house. Finally, with the girls in their rooms, the interior of the house was doused with gas and set on fire. The girls were burned to death tied to their beds. Gravely wounded, Dr. Petit ended up being the only survivor in his family. The perpetrators of the horrendous crime were caught and eventually a death penalty was handed down. A death penalty that, like many, was too late. The time for the death penalty was when the human refuse entered their house to do this evil. Both shot dead by one or more family members would have been the ideal outcome. The incident from the report below is about a home invader that broke into a home and continuously beat, kicked, choked, and threw this woman around. He did it in front of her daughter and with her 1 year old son upstairs asleep. His final move on the woman was to throw her down the stairs into her own basement. He was eventually caught, not knowing the whole incident was recorded on a nannycam that was running while he was beating the woman and ransacking the house. Too bad he had to be caught. Somebody ready to stop him, including killing him if necessary when he broke in would have been a much better end to this atrocity. That's probably enough of those to make the point. Some states make it difficult. But most make it reasonably straightforward with some pretty clear rules for acquiring, practicing with, possessing in home, and carrying firearms for self defense. Whether in gun friendly states or not, do what you have to so if and when you are faced with life threatening assault, you won't have to think, "What do I do?" And it might give you and yours another opportunity to continue living, and living without the effect of the consequences of violent criminals grossly violating your spouse, son, or daughter. From Me to You: It takes about 6 hours of work to write, put together, and publish one article like this. I don't do it for personal attention. I do it because I don't want you or your family to end up in a news report as the "victims" of anything. I want you to be ready to stop anybody, anytime, under any conditions in which they threaten your health or life.